The Multnomah County Department of Community Justice is a hotbed of ethical questions and fear, according to a new report. Even in a county government where many employees don't feel comfortable blowing the whistle, those who work for the department overseeing probation and rehabilitation programs for county offenders are particularly afraid, according to a survey conducted by Multnomah County's elected auditor. The ethical culture survey overseen by newly elected Auditor Jennifer McGuirk asked employees whether they agree with a series of statements ranging around the topic: does their work environment support good government. About 40 percent responded overall. About 80 percent of those who responded said the county generally fosters an ethical environment. A significantly smaller portion, 60 percent, said staff feels comfortable raising ethical concerns. Click here to read survey. And if you consider the survey an exam, management of the department, known internally as DCJ, bombed. "DCJ employees had low levels of agreement with nearly every survey statement," McGuirk wrote in her introduction. "And, since the start of this year, some DCJ employees have contacted me out of a desire to make DCJ better for themselves and their colleagues. The employees I've talked to have vastly different perspectives about DCJ, but consistently described to me that the DCJ culture is fear-based. This seems due, at least in part, to a perception that managers are not held accountable for their actions and that line staff who speak up about workplace conditions experience retaliation." In contrast to their colleagues, only 33 percent of community justice employees said staff feel comfortable raising ethical concerns. That's about half the rate among county employees in general. The auditor's report recommended county leadership make improvements in several areas, including reporting processes concerning discrimination, management training, and the ways in which staff are educated that retaliation is not lawful. The poor marks may not be surprising: The department has had three directors in the past two years. And two years ago, when McGuirk's predecessor, Steve March, oversaw the survey, the department's measures were barely better, with 36 percent of employees feeling comfortable reporting ethical concerns. Several news reports over the past three years described chaos, strife and incidents of discrimination among the employees and management of the county department — in addition to questions about its results. •The Oregonian/Oregonlive has reported repeatedly on allegations of racial discrimination at the department between 2013 and 2017. *In 2016, the Portland Tribune reported that racial disparities in probation violations administered by the department had increased over the previous decade. In 2017, it reported that racial disparities in the juvenile justice system had worsened as well. •Willamette Week reported on further allegations at the department in 2018, including labor strife, questionable management decisions and continued allegations of discrimination. The response of the department's interim director, Erika Preuitt, noted the management turnover, history of discrimination complaints and media coverage in her response, which was included in the survey. Facility issues have also compounded low morale due to the prolonged start of renovations at our East County campus. This delay has impacted conditions at several buildings," she wrote. "We acknowledge that DCJ has had a history of challenges that have existed prior to the leadership changes mentioned above. We also understand we have a range of issues to address and this has led us to examine the importance of the role that each of us play in contributing to a culture of safety, trust, and belonging. For the past eight months, our current leadership team has been working to find meaningful ways to be available to staff to express their ideas and concerns." 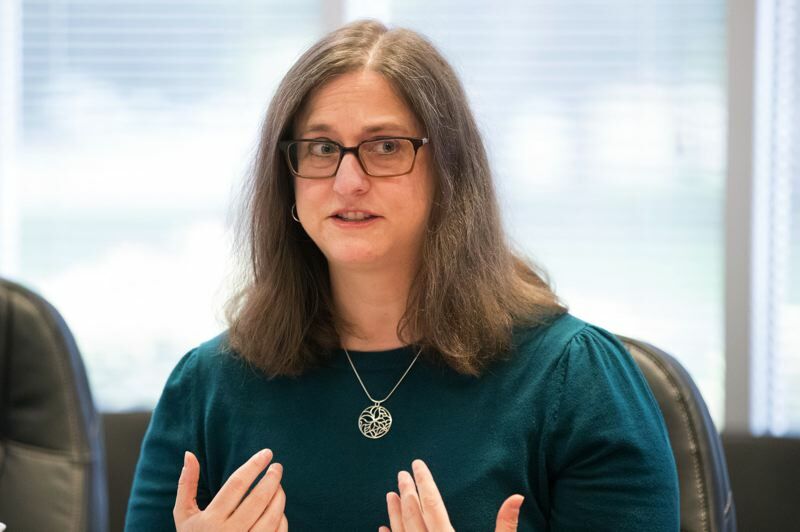 Multnomah County Commission Chair Deborah Kafoury said she was happy with the overall results showing most employees felt the county fosters ethical behavior, but also listed several ways the county is trying to make improvements, including in workplace equity. While the transformation "won't happen overnight," she said, she is committed to following through.